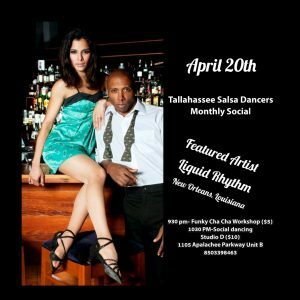 Tallahassee Salsa Dancers, the community based Latin dance organization, hosts monthly socials that involve workshops and performances. 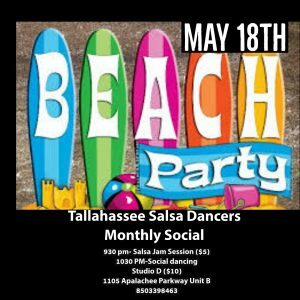 The socials are normally every every 3rd Saturday of the month. 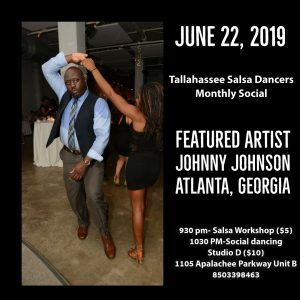 We do have changes periodically due to out of town performances so all dates are listed below.